"I'm so sorry, Skipper," says Barbie. "I have to run off to school now. But I promise to implement extra if-defs to make it more optimized on windows." "You better!" 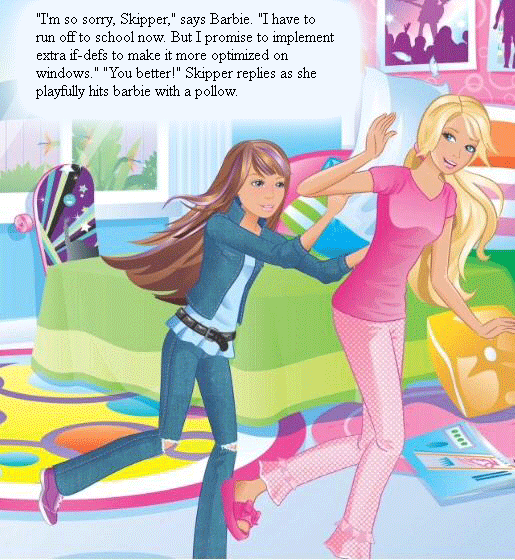 Skipper replies as she playfully hits barbie with a pollow.